Out my window I see three shepherds watching their flocks in torrents of rain, their heads covered with what we call balaclavas; their bodies by the traditional Basotho blanket. My heart goes out to them. I spent a morning with some of the herd boys in our program recently and feel such compassion for these boys relegated to such solitude and loneliness. More on that later. Teachers have been on strike. After a three-week walk-out, schools will now be open for one week and closed for three in a rotating cycle until their grievances are addressed. As well as extremely low salaries, not paying principals (one principal told me she has been ‘acting’ principal for 15 years without compensation as well as teaching a full load) and not paying pensions, one of the contentions is the government’s failure to pay primary schools the M20 (CAD $2) per student per year they are allotted. The schools have no resources to continue. One is incredulous that children’s education in primary school is worth $2/child a year. For high school, the costs to the guardians, parents and grannies are nigh impossible. 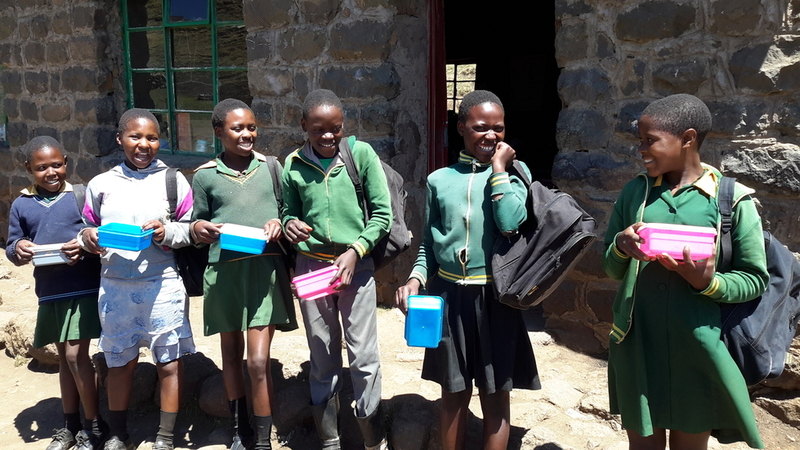 With little or no income, these ‘guardians of the future of Lesotho’ have to find the funds to pay for medications, too many burials, schools fees, and the normal costs of living. They are eternally overwhelmed. Our first donor trip guests have left after a wonderful visit. They were so appreciative, engaged and lovely to host. They want to come back!!! It is encouraging to have such talented, interested advocates. 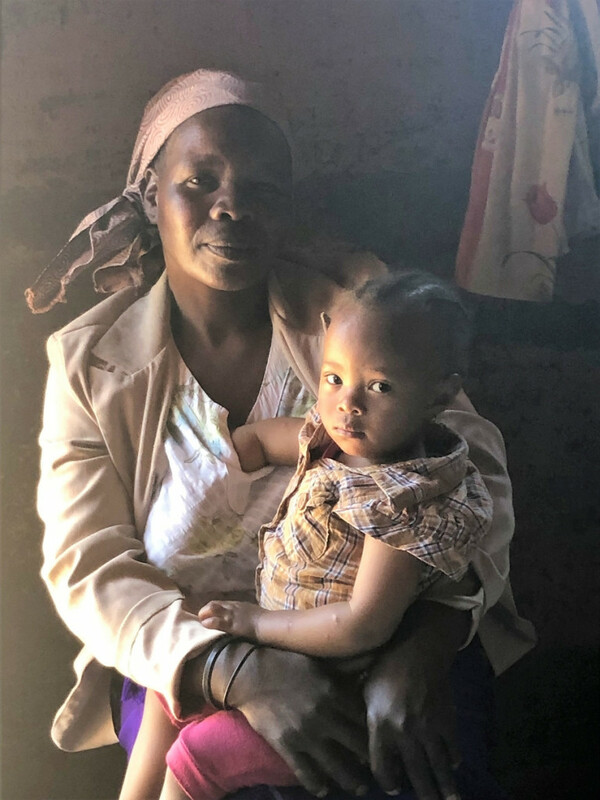 They spent all their time with our local staff and beneficiaries and were constantly and deeply touched by the need and the profound impact our programs have. Because of the internal coherence within and across our programs, all beneficiaries have the same vocabulary and concepts to talk about their challenges and strategies. This creates a foundation for family and community communication that is desperately needed to address these complex, emotionally-laden topics. I am sure they would agree that one of the most impactful experiences here is attending a grief and loss session. Out of these fine, lovely participants pours a depth of suffering, abandonment and pain that is both crushing and desperately sad. To be a witnesses to the burden of this kind of devastation – pummeled on an entire population – one becomes overwhelmed themselves. Wrenching tears, confessions of misery and suicidal thoughts, terrible loneliness and loss – it is a graphic display of how much this country needs to heal from. Yet, watching them express, discuss and find really helpful strategies to address their pain is so positive and strengthening. To visibly see people heal in front of you is astounding. You may find this hyperbolic but I assure you it is not. This session is consistently one of the top favourites of all groups and ages of participants since 2006. 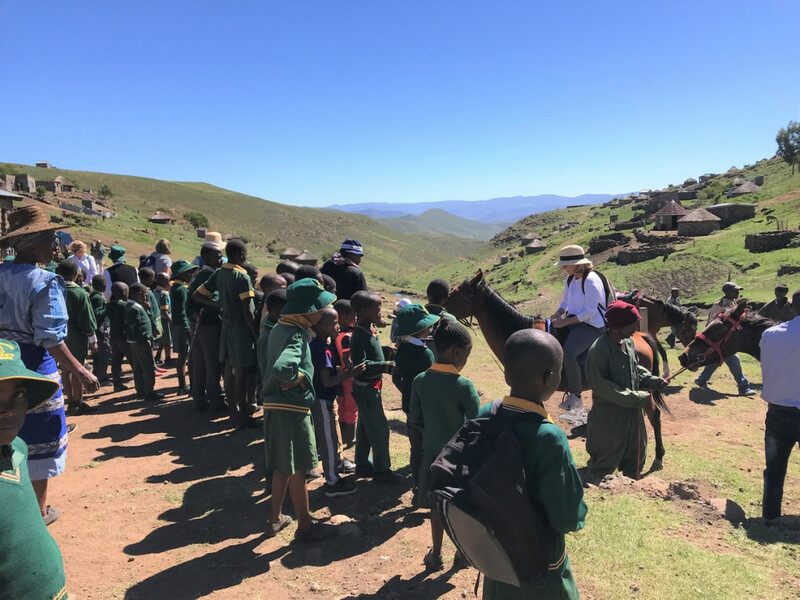 Our guests had so many incredible experiences but one they will never forget was an hour horse-back ride to a small – very small – and very poor school up in the mountains. Majara has 153 students in three tiny, broken, stone classrooms. Because it is impossible to imagine unless you go there, I take guests as it demonstrates beyond anything I could ever say how isolated, poor and courageous these little schools are. Last year one of our guests was so touched that she bought hats, mitts and socks for the children just before the bitter winter. She has provided a generous donation again this year to do something special for them. The school, Majara, had seven students last year who graduated from grade seven. Almost no one from this remote village has ever entertained the notion of being able to get an education beyond grade 7. Through our Child Sponsorship Program we are paying the school fees for two of these students. Hallelujah!!!! We had the most wonderful visit with herd boys I have ever had. These boys had been in our program for six months already and now are doing community service to teach other herd boys about sexual health and gender based violence. The boys were so honoured and excited to have international guests visit them – to be seen – to be heard. They told us of their training. They danced and sang for us. It was inspiring and so much fun. We were all in tears. We went from there to visit some of our grannies in their village. These dear souls are completing their two-year program cycle and thrilled that their grandsons, the very herd boys we just met, have had training in how to communicate, problem solve, and practice healthy hygiene. 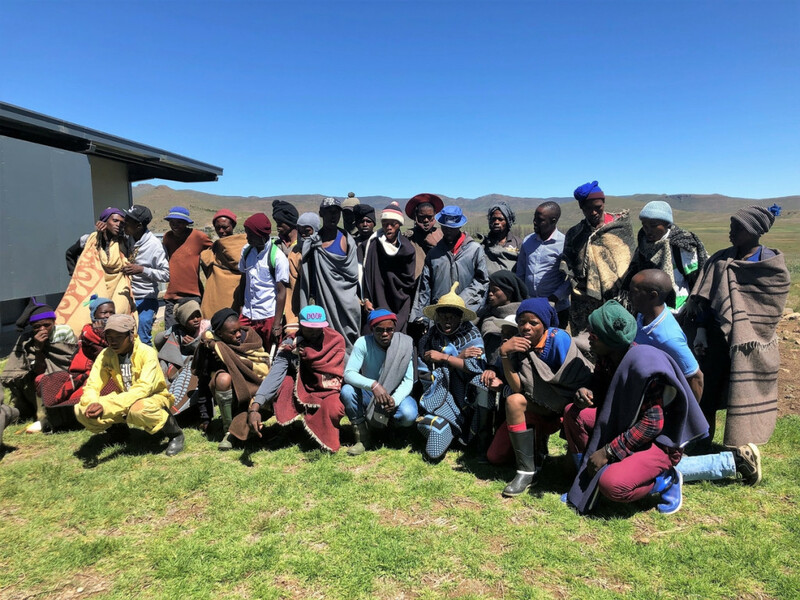 Almost before we got out of the trucks, they were bursting to thank Help Lesotho for helping these previously unmanageable boys to grow up and become aware of needs and rights of girls and women – including them!!!! They shared how much the boys had changed and how much this changes their lives – one less burden. It reinforced the impact of training various populations within the same villages at the same time. It meant so much to hear them so happy. I worry about them more often than I will admit. I have been giving training sessions for our staff, professional interns and the CHANGE4ce trainees I spoke of in my first letter. I admire their openness to struggle to understand themselves, life and healthy ways to support others in their growth. Tomorrow I will welcome our new board member, Ntate Thabang Mashologu, his wife Sarah and their two young sons. Thabang and Sarah recently moved from Toronto to Ottawa and we are very excited to have him on the board. As a Canadian/Basotho, he will be a huge help. 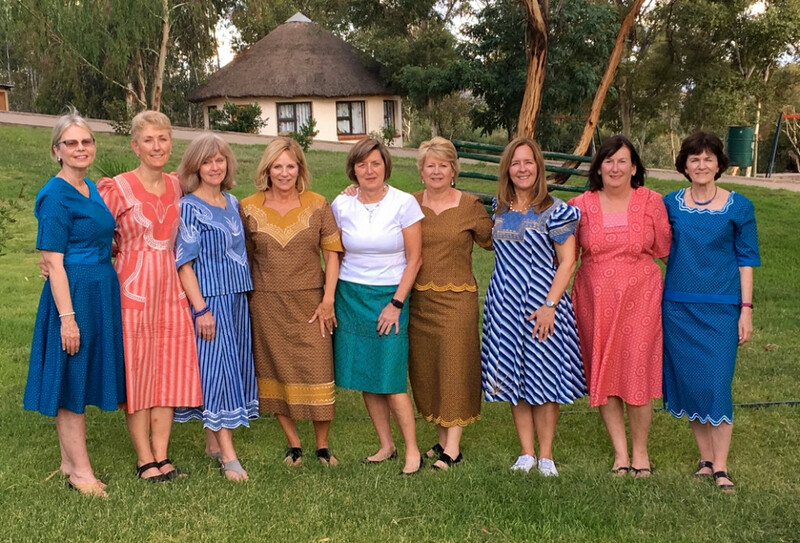 Also coming on Monday is Help Lesotho’s Donor Relations Manager, Marlene Caicco, whom you may know. This is Marlene’s first time to Lesotho and she is so excited. 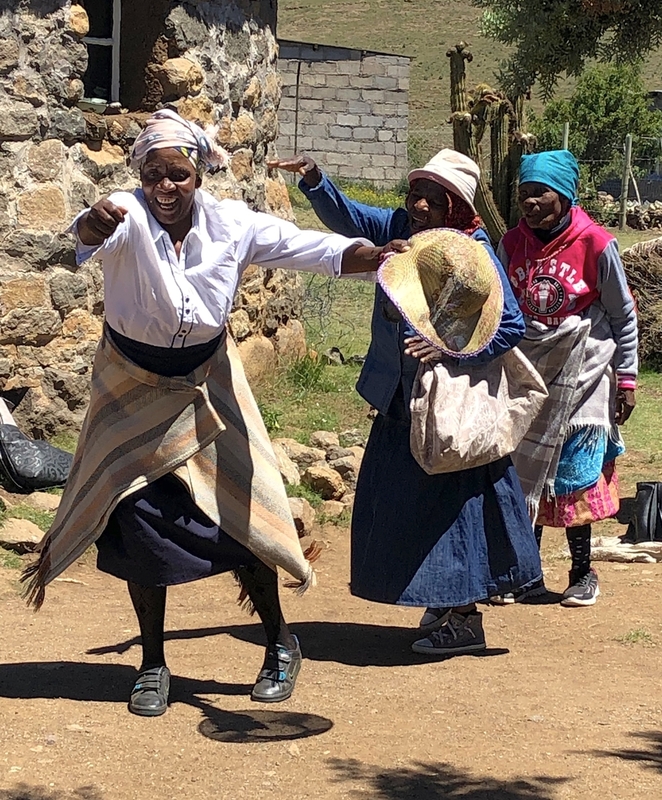 I want to give a shout out to my dear friend Elizabeth May, leader of the Canadian Green Party, for choosing Help Lesotho has one of her three favourite charities for donations in lieu of gifts in honour of her upcoming wedding. It is beyond touching. She has been an unfailing support since the first month this whole thing started. Bless her heart. I am thrilled she and John found each other. 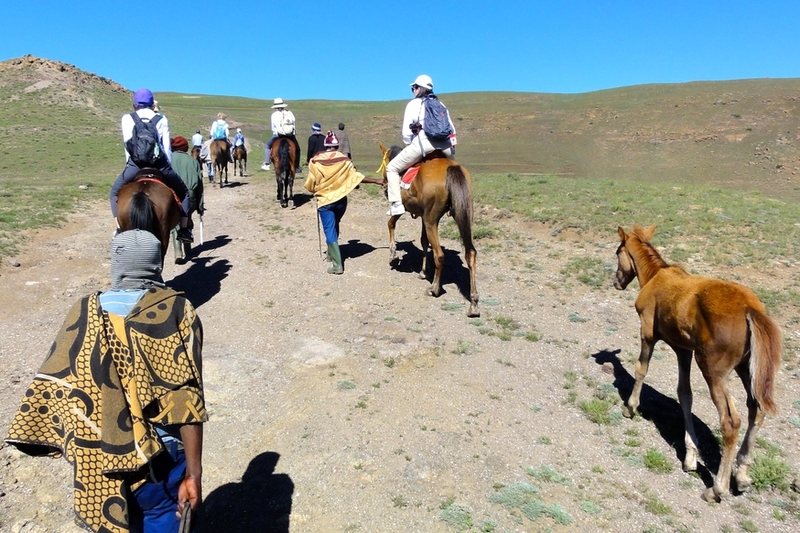 Your support has not only changed tens of thousands of lives in Lesotho, but mine as well. Thank you so very much.